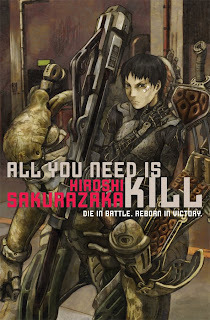 Last week I posted an announcement about the new science fiction imprint from ViZ Media that will be releasing translations of some of the best contemporary Japanese science fiction novels. Haikasoru will be publishing 12 titles per year starting this July. 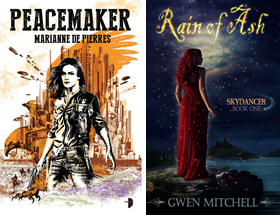 Here is a preview of some covers and summaries of the first four titles. ZOO presents eleven stories of dark fantasy and science fiction by one of Japan’s hottest authors. "The White Hut In The Forest" is the story of a man with a hole in his head and a charming home made from some strange materials. "Song of the Sunny Spot" is a rendition of the classic story of the Earth's last man...and his charming companion. And in the book’s eponymous tale, a man sees his dead girlfriend’s corpse decompose, one gristly Polaroid snapshot at a time. 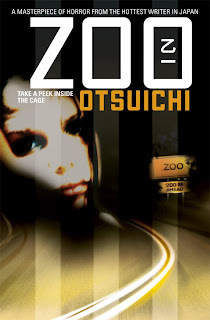 ZOO sold over 740,000 copies in Japan and was also turned into a successful Japanese film. When a ring appears around the sun, humanity seems doomed. One woman, a brave scientist named Aki Shiraishi, travels to the core of the solar system in a last-ditch attempt to save the world. A compelling new hard SF novel, Usurper of the Sun won a coveted Seiun Award in 2002 for Best Science Fiction Novel of the Year. Thanks so much for this post. 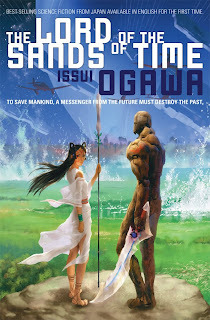 THE LORD OF THE SANDS OF TIME sounds *amazing*. I love some of the stuff that comes out of Japan in other media so I'm looking at this very carefully and seriously hope they'll be half as good as they sound and look! Heather I am looking forward to trying these out. There is usually something fresh about translated SF because of the influence of the foreign culture. My son is a huge manga, anime fan but I haven't really followed it. These I will definitely try.